What is watchfulness? We all have watchers in our lives, in fact our parents where our first watchers and in the ebb and flow of life watchers often appear when we most need them. In this gospel Jesus is our watcher and is reminding us that change is on the way and we need to be ready whether we know it or not. The saying “to be warned is to be forearmed” is used when people want to protect each other. You know that conversation when someone senses something is going on in the air and they tell you, so that whatever happens you are ready to deflect or embrace the situation. That is what Jesus is doing for us when he says, “…about that day or hour no one knows, neither the angels in heaven, nor the Son, but only the Father.” Jesus is coming from a position of love for us. You could say he is giving us a ‘heads up’ on what is coming. We had a small garden in our mission in Bolivia and it contained one large fig tree. I was told that it is considered sacred by the Indigenous People of Bolivia. 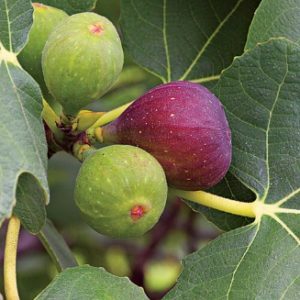 The figs only appeared once a year and in such unbelievable abundance that it was it was important to gather them quickly before they rotted on the ground. Another sign of Jesus’ abundant love; a reminder to be watchful; and to trust in the One who gives us “daily bread”. This gospel is an invitation continually to change ourselves and be a source of good for the world around us, to be signs of God’s love and care in our world.